HOLLYWOOD, Calif. –- Hailed as "extraordinary" (David Denby, The New Yorker), "deeply moving" (Claudia Puig, USA Today) and "a triumph" (A.O. Scott, New York Times), director Ava DuVernay's powerful drama Selma debuts on Blu-ray Combo Pack, DVD and On Demand May 5, 2015 from Paramount Home Media Distribution. The film arrives two weeks early on Digital HD April 21, 2015. 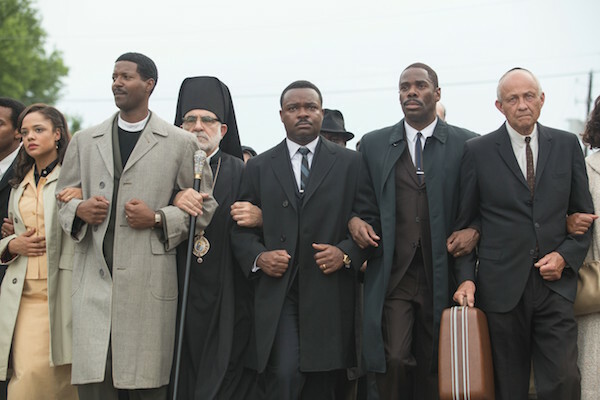 Embraced by critics and audiences alike, Selma was named one of the best films of the year by New York Times, New York Post, New York Magazine, Rolling Stone, Vanity Fair, Huffington Post, Entertainment Weekly, Variety, Hollywood Reporter and many more. The film was nominated for an Academy Award® for Best Picture and won the Oscar® for Best Original Song for John Legend and Common's compelling tribute "Glory." Director Ava DuVernay delivers the "definitive depiction of the 1960s American civil rights movement" (Lou Lumenick, New York Post) with the incredible story of how Dr. Martin Luther King Jr. led the epic march from Selma to Montgomery to secure equal voting rights in an event that forever altered history. 2015 marks the 50th anniversary of the legendary march. David Oyelowo is "mesmerizing" (Kenneth Turan, Los Angeles Times) as Dr. King and leads an outstanding ensemble cast including Academy Award nominee Oprah Winfrey1, Academy Award nominee Tom Wilkinson2, Academy Award winner Cuba Gooding, Jr.3, Academy Award nominee Tim Roth4, Grammy®-winning artist Common5, Giovanni Ribisi, Carmen Ejogo, and Lorraine Toussaint. Selma will be available in a Blu-ray Combo Pack with UltraViolet™ that includes an in-depth exploration of the making of the film, historical newsreels, a video for the Academy Award-winning song "Glory," featuring John Legend and Common, commentary by director Ava DuVernay and actor David Oyelowo, a photo gallery and more. 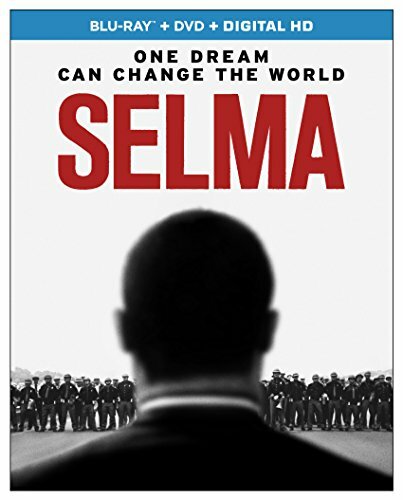 The Selma Blu-ray is presented in 1080p high definition with English 5.1 DTS-HD Master Audio, French 5.1 Dolby Digital and English Audio Description and English, English SDH, French and Spanish subtitles. The DVD in the combo pack is presented in widescreen enhanced for 16:9 TVs with English 5.1 Dolby Digital, French 5.1 Dolby Digital and English Audio Description and English, French and Spanish subtitles. The Blu-ray Combo Pack available for purchase includes a Digital Version of the film that can be accessed through UltraViolet™, a way to collect, access and enjoy movies. With UltraViolet, consumers can add movies to their digital collection in the cloud, and then stream or download them—reliably and securely—to a variety of devices. The single-disc DVD is presented in widescreen enhanced for 16:9 TVs with English 5.1 Dolby Digital, French 5.1 Dolby Digital and English Audio Description and English, French and Spanish subtitles. The disc includes the feature film in standard definition plus a look at the National Voting Rights Museum and Institute and Selma Student Tickets: Donor Appreciation. 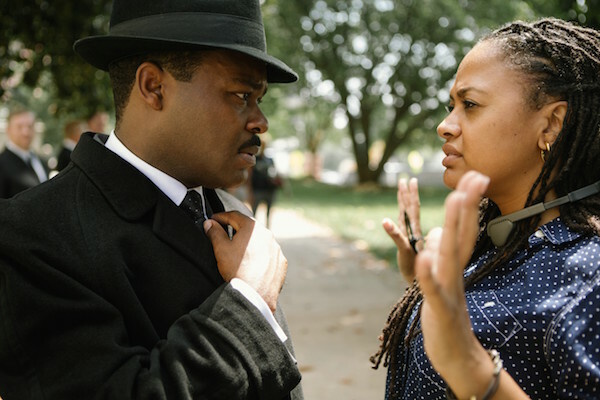 Paramount Pictures, Pathé and Harpo Films present a Plan B/ Cloud Eight Films/Harpo Films Production in Association with Ingenious Media, an Ava DuVernay film "SELMA." Executive produced by Brad Pitt, Cameron McCracken, Nik Bower, Diarmuid McKeown, Ava DuVernay, Paul Garnes, and Nan Morales. Produced by Christian Colson, Dede Gardner, Jeremy Kleiner, and Oprah Winfrey. Written by Paul Webb. Directed by Ava DuVernay. Paramount Home Media Distribution (PHMD) is part of Paramount Pictures Corporation (PPC), a global producer and distributor of filmed entertainment. PPC is a unit of Viacom (NASDAQ: VIAB, VIA), a leading content company with prominent and respected film, television and digital entertainment brands. The PHMD division oversees PPC's home entertainment, digital and television distribution activities worldwide. The division is responsible for the sales, marketing and distribution of home entertainment content on behalf of Paramount Pictures, Paramount Animation, Paramount Vantage, Paramount Classics, Insurge Pictures, MTV, Nickelodeon, Comedy Central and CBS and applicable licensing and of certain DreamWorks Animation titles. PHMD additionally manages global licensing of studio content and distribution across worldwide digital and television distribution platforms including online, mobile and portable devices and emerging technologies. "ACADEMY AWARD®" and "OSCAR®" are registered trademarks and service marks of the Academy of Motion Picture Arts and Sciences.